Cameron Kelly is admitted to practice in Minnesota and Wisconsin state courts. Cameron Kelly enjoys providing personalized planning for individuals and businesses. His practice includes assisting clients with comprehensive estate planning, including wills, trusts, powers of attorney, health care directives, and living wills. He also has a special interest in the estate, gift, and income taxation of estates and trusts. In addition to estate planning, Cameron works with business owners from formation to business succession. Cameron is certified as a Real Property Specialist by the Minnesota State Bar Association. 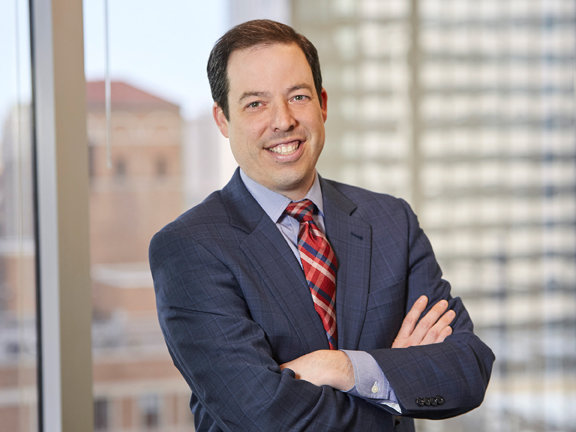 He has been designated as a Rising Star by Minnesota Super Lawyers from 2013 to 2017. He received his LL.M. in Estate Planning from The John Marshall Law School in June of 2018. Residing his entire life in Minnesota, Cameron now lives with his wife, daughter, and two sons in Stillwater, Minnesota. He is active in the Stillwater and Hudson communities, including providing legal services to cancer patients through Cancer Legal Care and, receiving their Volunteer Attorney of the Year award in 2015, and as a member of the Hudson Daybreak Rotary. He is a past member of the City of Stillwater Planning Commission. He maintains a strong presence in the area, accepting appointments in Stillwater with clients throughout the St. Croix River Valley. Can the State of Minnesota Tax Your Trust?